Ca’ Rezzonicos offers a beautiful inside view of a ‘700 Palace in Venice. 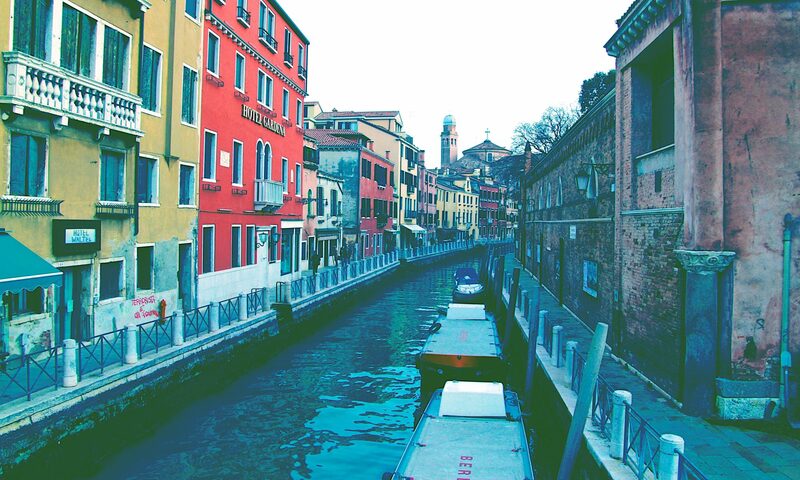 Located in the Dorsoduro Area, near Campo San Barnaba, its construction started in 1667. The Rezzonico, a rich and influential family from the Lake of Como, owned it. During its history, it had many other owners. William II, the German Emperor, tried to buy it. Finally, in 1935, the deputy Lionello de Minerbi, sold it to the Municipality of Venice. Since then, it has hosted the Museum of 18th century Venice. It is definitely a place to visit in Venice. It offers a unique insight into the life of the 18th century, as well as works of art by Canaletto, Guardi, Longhi, Tintoretto and Tiepolo. Even if you don’t want to spend time or money in the museum, it is the perfect place to relax. In fact the Court, the access to Canal Grande and the garden are for free. There is a cool bar inside with a beautiful view on Canal Grande. If you move through the Court, you will be able to see a tiny aquarium as well, with two fish and some turtles, it is quite funny. Then, our favorite part, the garden. It is so relaxing and distant from the noise of Venice. Please be respectful of the many Venetian there enjoying a book or a quiet place. One place you can’t miss is the little bridge between Ca’ Rezzonico and the ferry stop, looking at the Canal in front of view, you will get one of the most picturesque views in Venice.